Home Giveaways Help Us Giveaway a Soccer Ball to Kids in Ethiopia! InCultureParent is so excited to support One World Futbol in their mission to bring the healing power of play to youth worldwide through their nearly indestructible soccer/football. The ball never needs a pump and never goes flat, even when punctured multiple times, due to its innovative technology. Isn’t that cool? What I love about their model is that for every ball purchased, they donate one to organizations working with youth in disadvantaged communities worldwide. 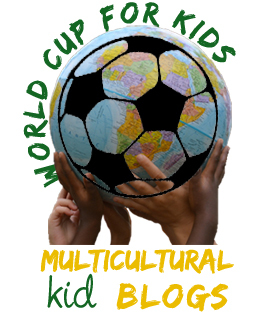 We have a special giveaway planned during the remainder of the World Cup with Multicultural Kid Blogs and One World Futbol. But it’s not your typical giveaway. Instead of one of you winning the ball, kids in Ethiopia who could really use a soccer ball will win it. But to do that, we need your help! We need you to do one simple thing—just share this post on Facebook, Twitter, Pinterest and/or G+. If we get a certain number of shares, then the ball will be given away to kids in Ethiopia through the organization Ethiopia Reads. Ethiopia Reads is a wonderful organization with a focus on schools, libraries, young athlete education and mentorship, and educator training. To date, they have served 120,000 children. They even supply kids in rural areas with library books via their libraries on hooves–donkey libraries! Similar in concept to bookmobiles in the United States, Donkey Mobile Libraries run a circuit from school to school and from village to village bringing books to eager children. The first Donkey Mobile Library was put into operation in 2005 and five more have followed with a further commitment of more in the immediate future.Check out this video to see their neat donkey libraries in action. We have until midnight ET on Sunday, July 13, to get as many shares as we can on this post. There are eight other blogs who are also participating in this giveaway but here’s the thing: there are only three balls to giveaway and eight others who want to share this ball with organizations they have each chosen. We really want kids in Ethiopia to win this ball so we need your help–please SHARE this post on Twitter, Facebook, G+ and Pinterest and contribute your power, your vote to help us donate this One World Futbol. Each share made directly from this post is tallied as a vote. And whoever get the most votes, donates the ball! Let’s show how strong our voices are with our votes. The tally will be made based on the number on the social share buttons at the end of this post. You can use the hash tag #MKBWorldCup when you share. One World Futbol Project is a B-corporation based in Berkeley, CA and was founded by Tim Jahnigen, the inventor of the One World Futbol. One World Futbol was inspired by refugee youth in Darfur, who had such indestructible spirits–and love for football!–despite their hardships. Tim Jahnigen wanted to give them something more, so he invented a soccer ball that would never need a pump and would never go flat, even when punctured multiple times. One World Futbol Project and its virtually indestructible ball have now reached 160 countries and continue to bring the healing power of play to youth worldwide. The Buy One Donate One model makes it easy for consumers to donate these amazing One World Futbols to needy communities. The following member blogs are participating in this contest. You can visit them to see which organizations they have chosen. The three blogs with the most social shares (as shown on the share counters on their blog posts) will get to donate a football to the qualified organization they have chosen! And there’s one more thing! You can help “unlock” an additional two footballs at Multicultural Kid Blogs! They need to get 1000 people seeing their post to donate an additional two balls. Just click here to view the post and vote where you want the ball to go. That’s it! See all of the posts in the World Cup for Kids project, plus follow the World Cup for Kids board on Pinterest, and join the conversation on Facebook and Google Plus! Acostumbro cada tarde buscar articulos para pasar un buen rato leyendo y de esta forma he localizado vuestro articulo. La verdad me ha gustado el articulo y pienso volver para seguir pasando buenos momentos.